Topknot tours cater to all levels of experience. 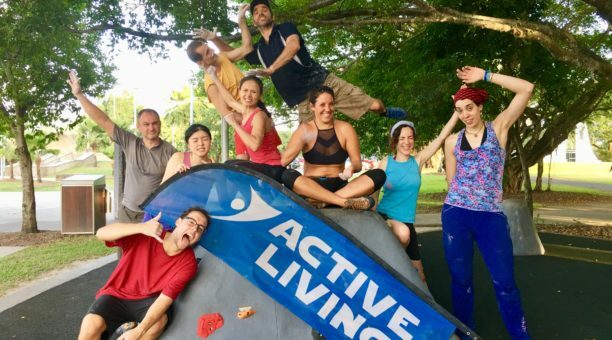 Share our passion for rock climbing at unique tropical locations. 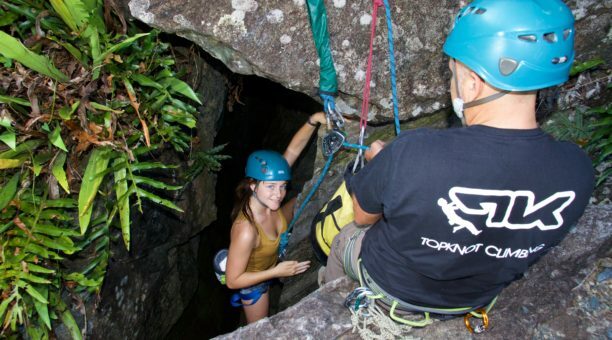 Cairns Rock Climbing Adventure Tours are personalised, catering to all levels of experience. In-town pickup, morning-tea and all equipment provided. 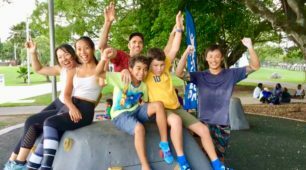 Explore a stunning part of Cairns with the professional and experienced team at Topknot Climbing. A full morning of rock-climbing, caving and abseil activities Professional guidance all equipment and morning tea provided Great for family, friends, work mates, social events, birthdays and holidays. Whatever your experience we cater to you! Monday afternoon bouldering sessions provide a great introduction to the sport of rock climbing, These sessions can also deliver a great cross training workout. Colour graded routes will challenge both the body and the mind.